These fun Holiday Penguin Iceberg Cookies are so much fun for Christmas parties or gift giving in the winter time. 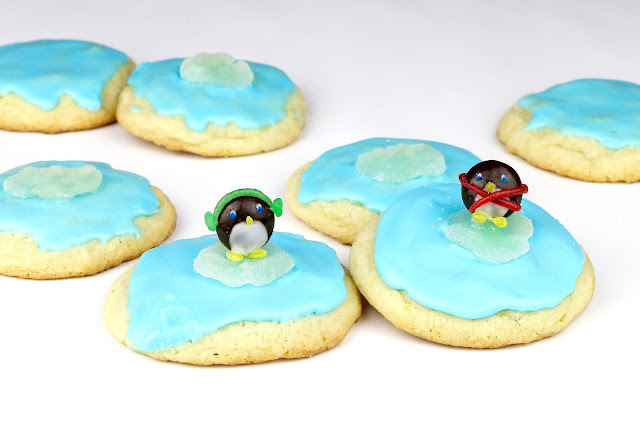 They are made out of sweet buttery vanilla sugar cookies, topped with a simple peppermint icing and little mint chocolate penguins on top for a cute and festive touch! 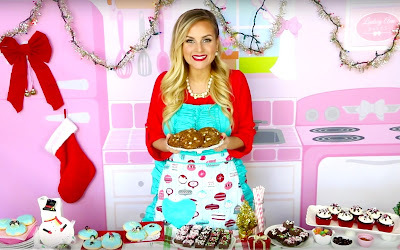 Have a video request that you would like to see? Let me know! 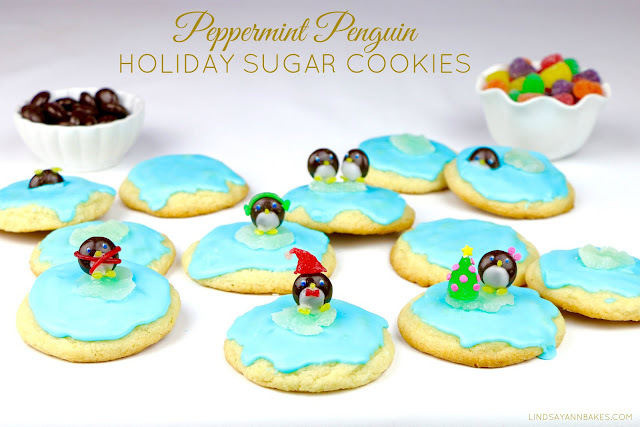 So these start with a batch of your favorite sugar cookie dough. 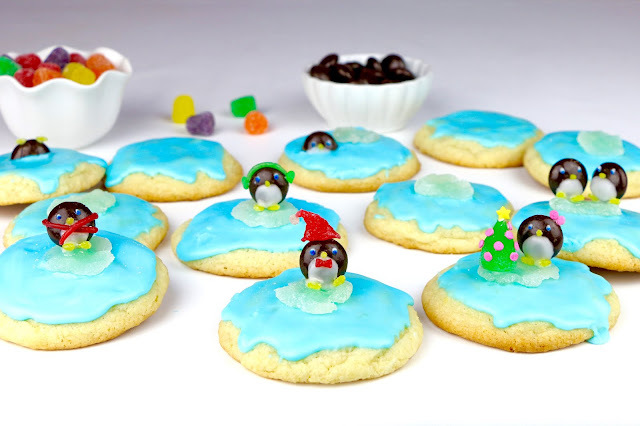 So just bake your cookies and let them cool completely while you make the icing and cute little penguins to go on top. 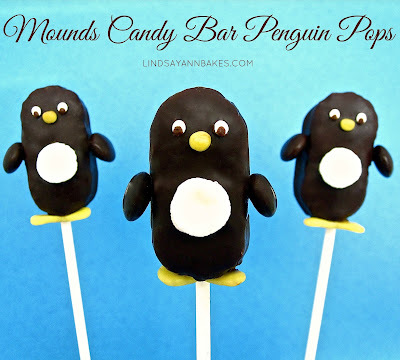 I used some junior mint candies for the penguins because they are the perfect little shape and the mint gives them a really festive flavor but you can really use any small dark chocolate round or almond shaped candy like chocolate covered almonds or mini york peppermint patties, if you can’t find these. 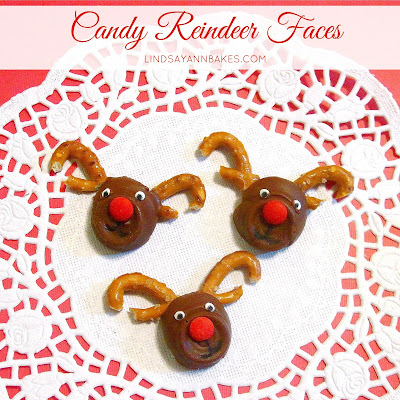 You can really dress them up by making little hats, earmuffs, scarves, and decorations with the colored spice drops to give them little personalities. Even dress them up for Christmas! Here, I cut a junior mint in half to create a penguin half way out of the water. Let them dry and they’re ready to serve at a party or package up to give out for the holidays or bring to school or work. Bake cookies as directed and cool completely. Stir together powdered sugar, water and peppermint extract until smooth. 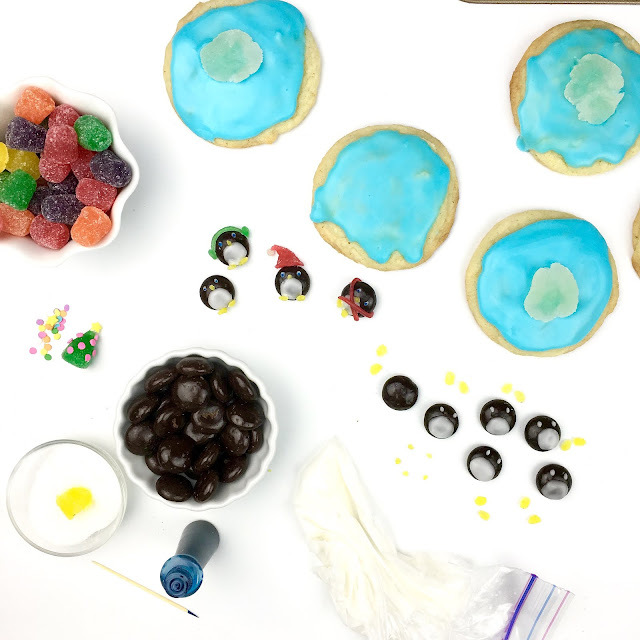 Set aside 1/4 of the icing in a plastic sandwich bag and add one drop of blue food coloring to the remaining icing, to make the blue water. Spread the blue icing on top of cooled cookies. 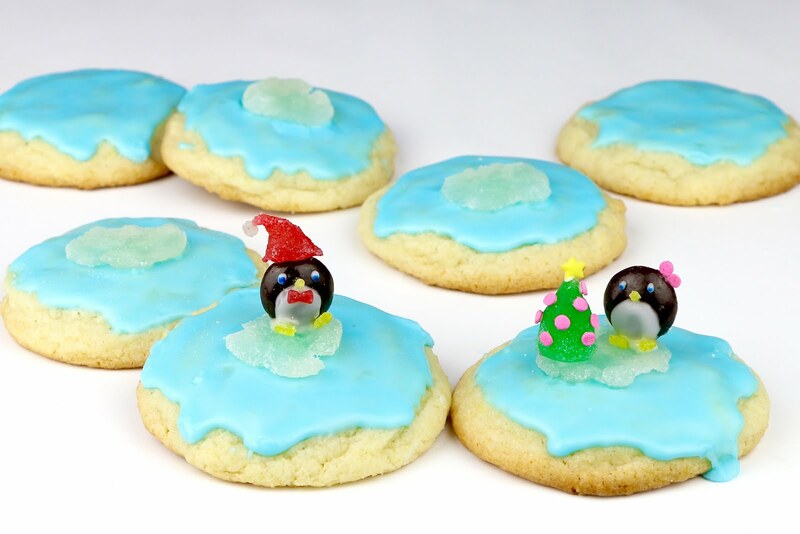 Flatten the white spice drops into little rectangular shapes for the iceberg, and place on top of iced cookies. 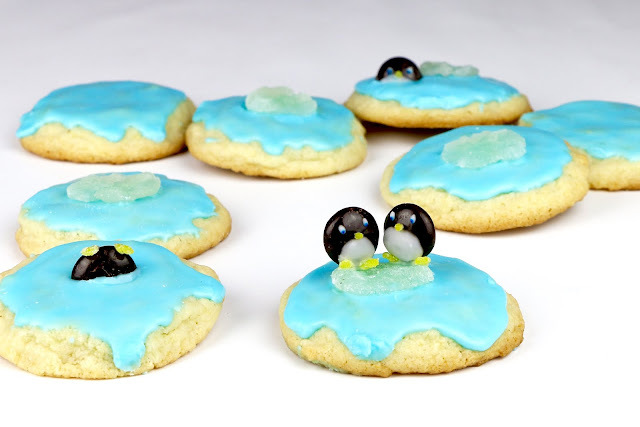 To make the Penguin, cut off a tiny piece from the corner of the bag of white icing and squeeze on a circle shape to the front of the junior mint to make the belly and dot on 2 eyes. Roll a piece of yellow spice drop to form a beak and two feet. attach using white icing. Once icing has dried dot on two little pupils on the eyes with the blue food coloring and a toothpick. 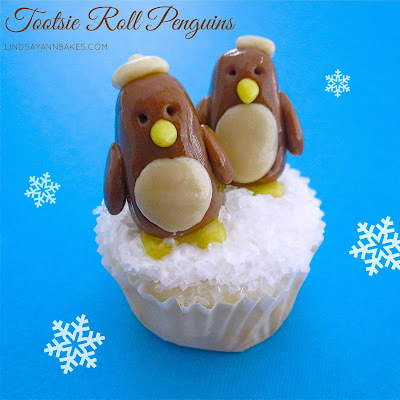 Continue making as many penguins as you like. 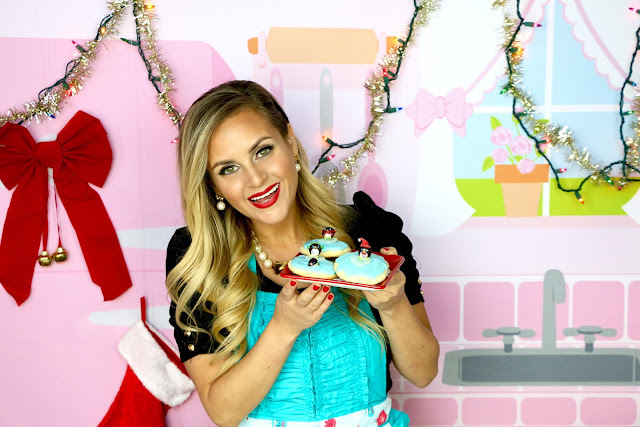 Create hats, earmuffs, scarves, Christmas trees and decorations if desired with the colored spice drops and sprinkles. Even, cut a junior mint in half to create a penguin half way out of the water.